Hillary Clinton: I am ready to come out of the woods. Former Secretary of State Hillary Clinton speaks during the Vital Voices Global Leadership Awards at the Kennedy Center on March 8 in Washington. Former presidential candidate Hillary Clinton gave a strong hint she’ll be making a return to the public stage soon during a rare speech Friday night. “I’m like a lot of my friends right now, I have a hard time watching the news,” Clinton said at the Society of Irish Women’s 19th Annual St Patrick’s Day dinner in Scranton, Pennsylvania. Speaking to a friendly audience from her father’s hometown, Clinton made clear she understands the temptation to stay away from the spotlight. “I am ready to come out of the woods and to shine a light on what’s already happening around kitchen tables at dinners like this to help draw strength to enable everyone to keep going, that’s the spirit of Scranton,” she said at the dinner. Clinton’s reference to coming “out of the woods” appeared to be a reference to the viral photo of the former presidential candidate hiking near her home in New York shortly after the election. 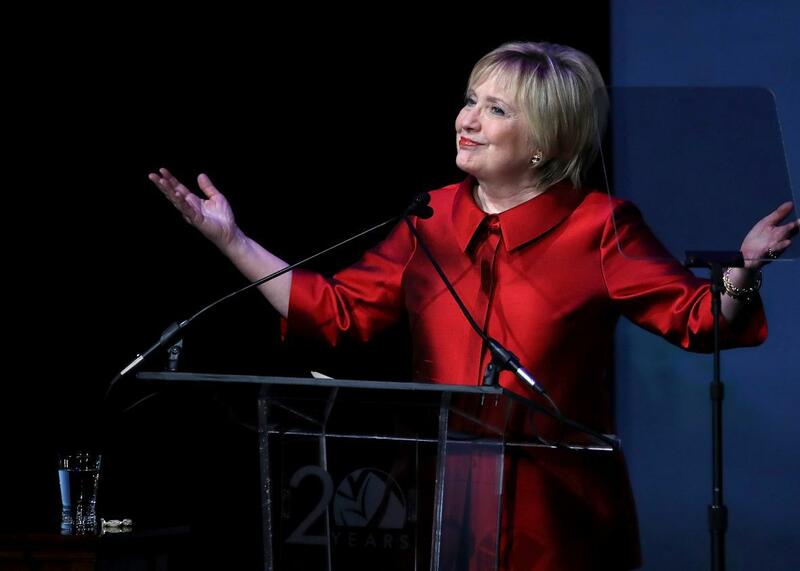 Clinton is already scheduled to make several public appearances in the coming months, including giving the commencement address at her alma matter, Wellesley College, on May 26. And the former secretary of state spoke of increasing her public profile mere days after TMZ reported Clinton is “thinking” about running for mayor of New York City.